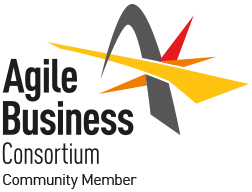 The Agile Business Consortium’s Agile Business Analyst (AgileBA®) Practitioner course is the world’s first independent certification in Agile Business Analysis. While there are many agile courses available to Scrum Masters, and agile developers, this course and certification are specifically designed for Business Analysts and focus on Agile Business Analysis methods and principles. This course goes beyond the basic concepts of Agile and SCRUM and provides BAs with skills, techniques and an understanding of the role they can play in an agile environment. This course will clarify many of the uncertainties of the role of the Business Analyst in an agile world and outline the different ways of working with an agile team during the phases and iterations of an agile project. The AgileBA certification course is based on the Agile Business Consortium project framework. Participants will take part in two exams, one on the third day and another the week after the class. On successful completion they will become certified in Agile Business Analysis. The APMG AgileBA® Practitioner certification equips you with an in-depth knowledge of not just Agile principles, but also how to apply them as a business analyst on a daily basis—with teams using Scrum, Kanban, Lean, DSDM and SAFe methods. Attendees take the AgileBA Foundation exam on the third day, and the AgileBA Practitioner exam on the week following the class.